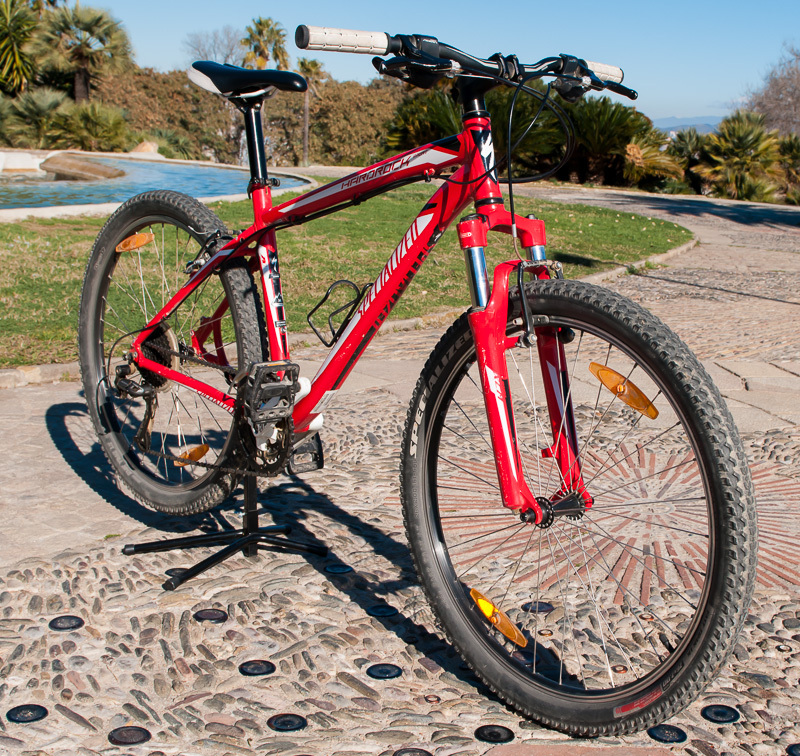 The Specialized Hardrock Sport is our bike of choice for our mountain-style Barcelona bike rentals and tours. We chose the Hardrock for its versatility and strength. 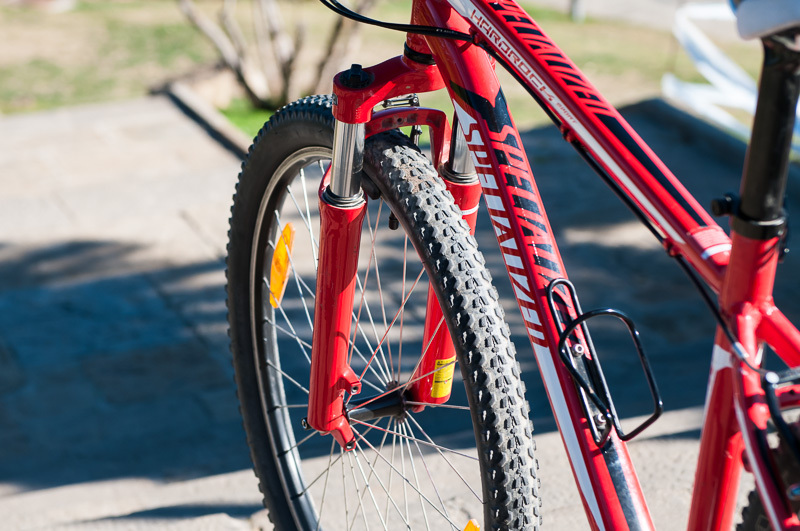 The Hardrock Sport is a well-balanced mountain bike that will provide the balance and strength you´ll need to navigate the roads, trails and rocks before you. The Specialized Hardrock Sport is a solid mountain bike that will take you anywhere. 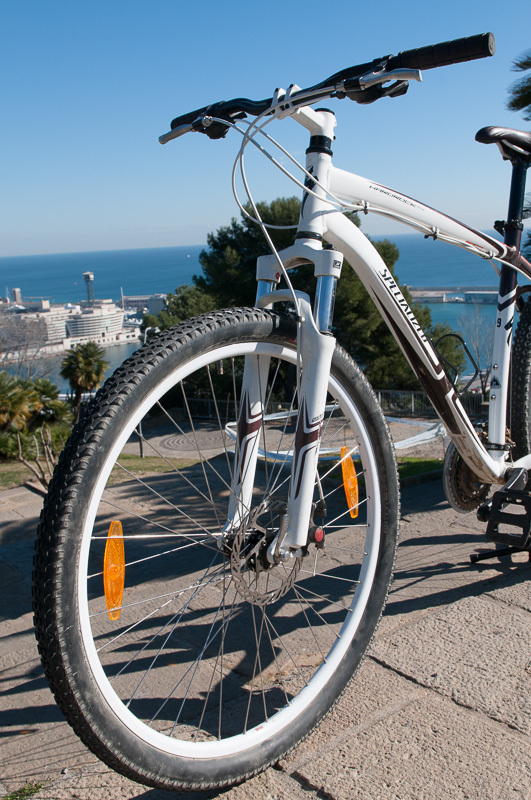 Click for your Specialized Hardrock Sport Barcelona mountain bike rental. Zipping through Barcelona´s high ground parks. 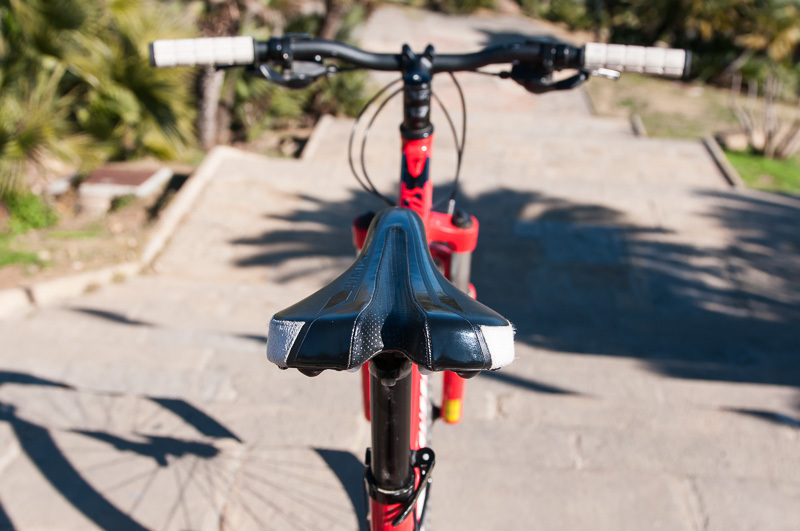 Rumbling down the rough terrain of the city´s Collserola Mountains. Pedaling across town to meet friends for a bite to eat. New riders who want their first taste of an off-the-beaten path bike adventure. 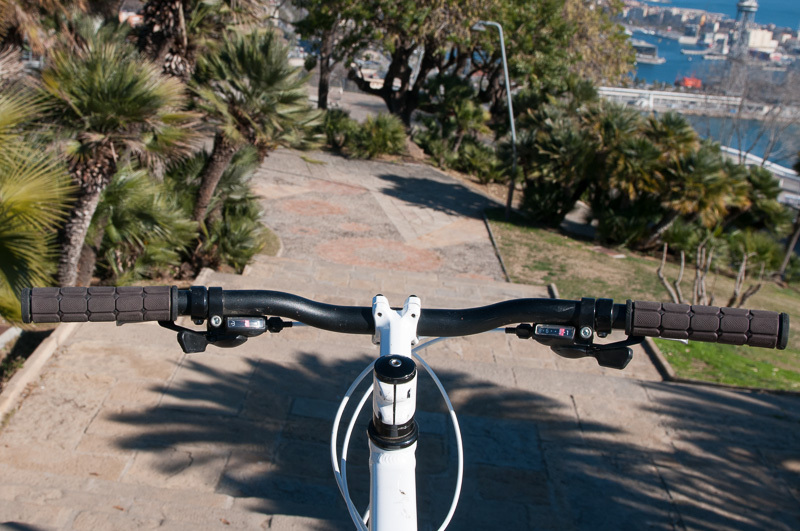 Experienced riders who want to explore the higher ground an unpaved streets of Barcelona. Aluminum frame is designed to provide strength and durability while maintaining a light overall weight. 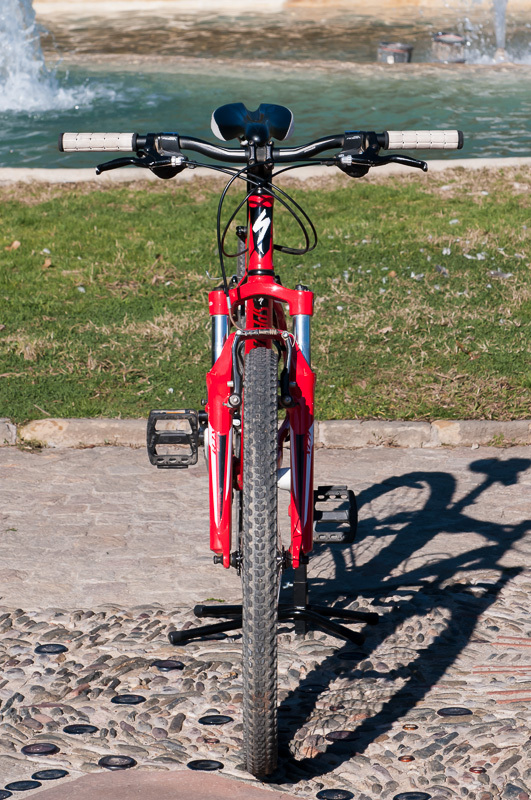 The bike´s front suspension is stout enough to handle the bumps of bruises of the trail, but savvy enough to provide a comfortable ride over city streets. Alloy wheels provide the Hardrock with quick acceleration, while maintaining reliable stability as you zip down the trail. Shimano derailleurs for fluid gear changes. Shimano ST-EF51 shift levers for responsive shifting. 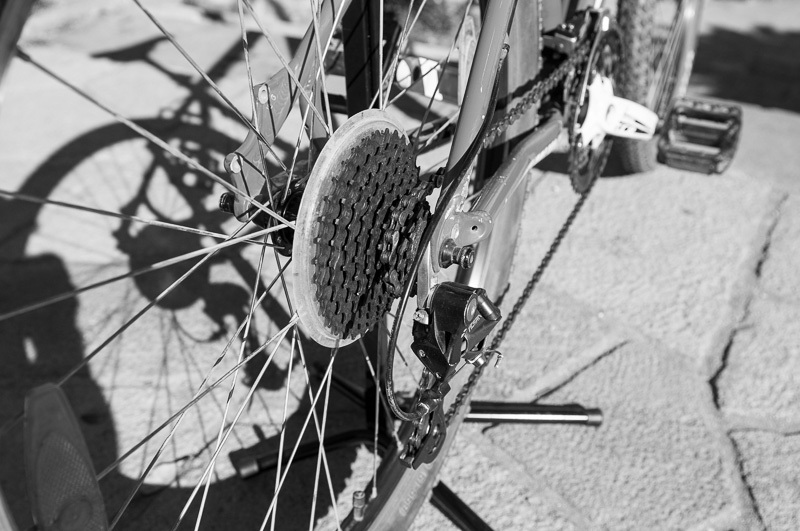 21 gears to find the perfect cadence. Frame: Specialized A1 Premium Aluminum 26" w/ canti bosses, 6061 alloy, ORE downtube, externally relieved headtube, forged dropouts and reinforced disc mount. 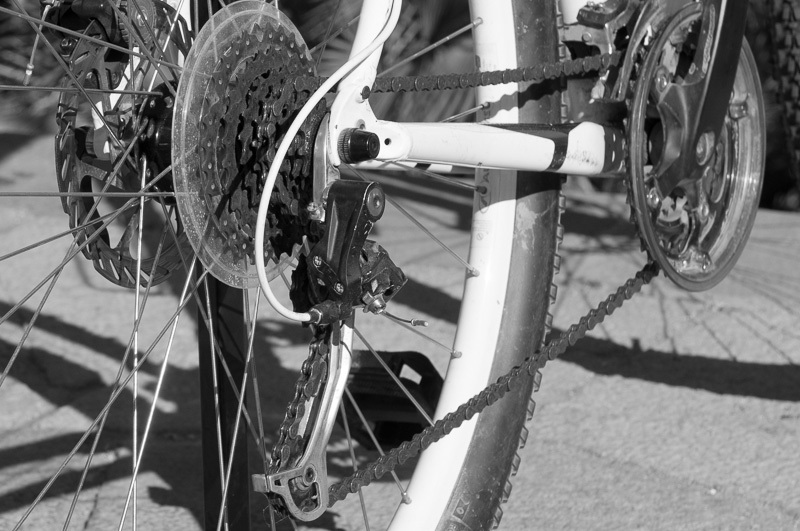 Front Derailleur: Shimano Tourney, 7-speed, 34.9mm clamp, top-swing, dual-pull. 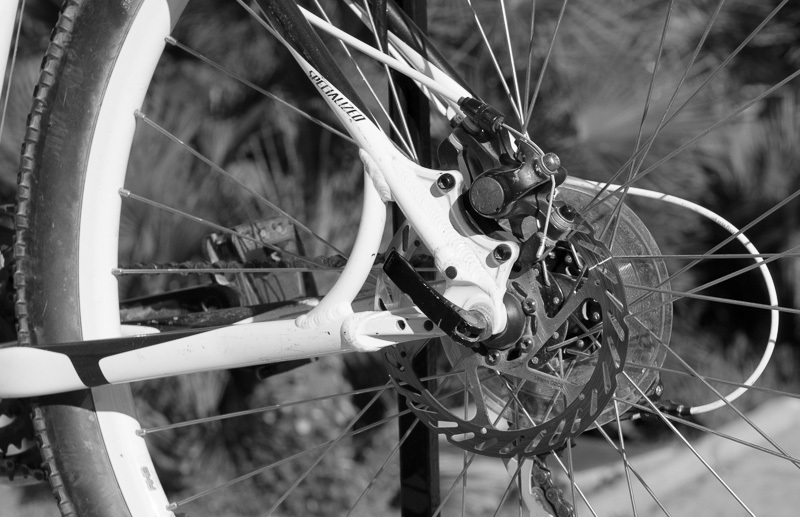 Rear Derailleur: Shimano TX35, 7-speed. Shift Levers: Shimano ST-EF51, 7-speed, trigger and integrated brake lever w/ optical display. Cassette: Shimano, 7-speed freewheel, 14-34. Pedals: Composite platform, w/ reflectors, 9/16"
The Speciliazed Hardrock Sport disc 29 was made for the experienced rider who wants a challenge their Barcelona bike rental can meet. We like this bike because it gives our clients a little more muscle than our standard Hardrock Sport. Big, 29-inch tires give you the extra clearance you need to go where our other bikes can't take you. Avid BB5 mechanical disc brakes offer you quicker, more responsive stopping when you need it most. Attack Barcelona's back roads with the ever-tough Hardrock Sport Disc. The 29 inch wheels, front and back disk brakes and a beefed up Shimano transmission are the main differences between the Disk Sport and its smaller cousin, the Hardrock Sport. 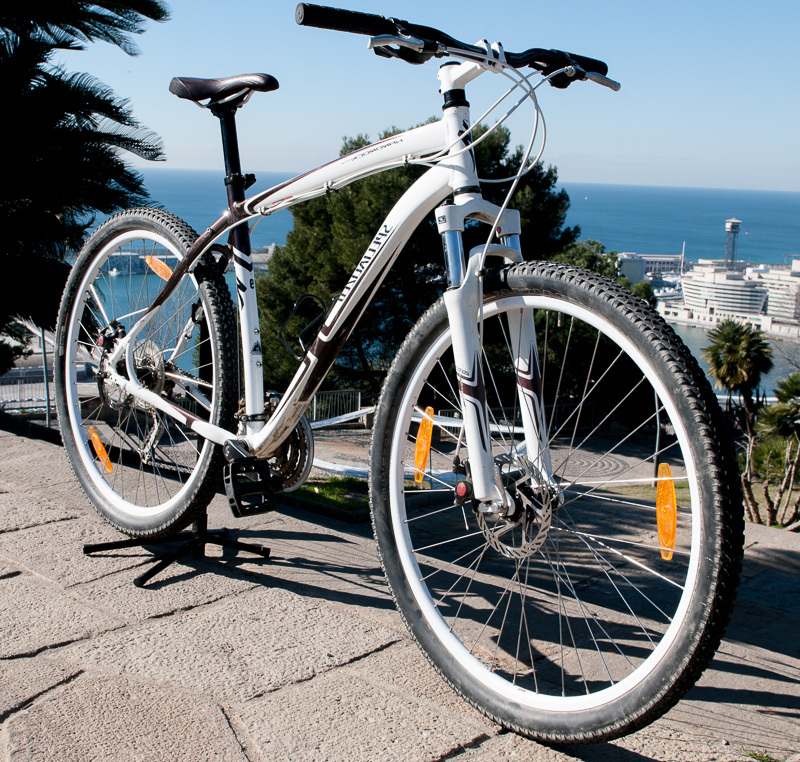 Click for your Specialized Hardrock Sport Disc 29 mountain bike rental for Barcelona. Zippingthrough Barcelona´s high ground parks and sigle tracks. 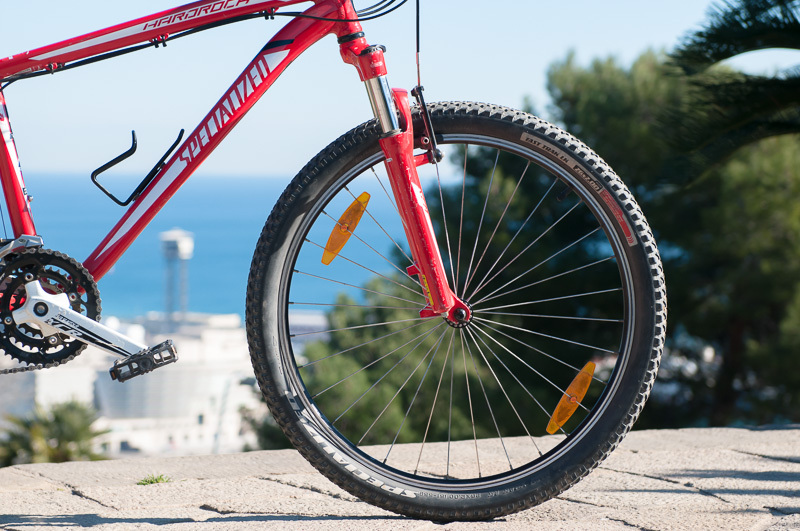 Climbing & shooting down the rough terrain of the city´s Collserola Mountains. 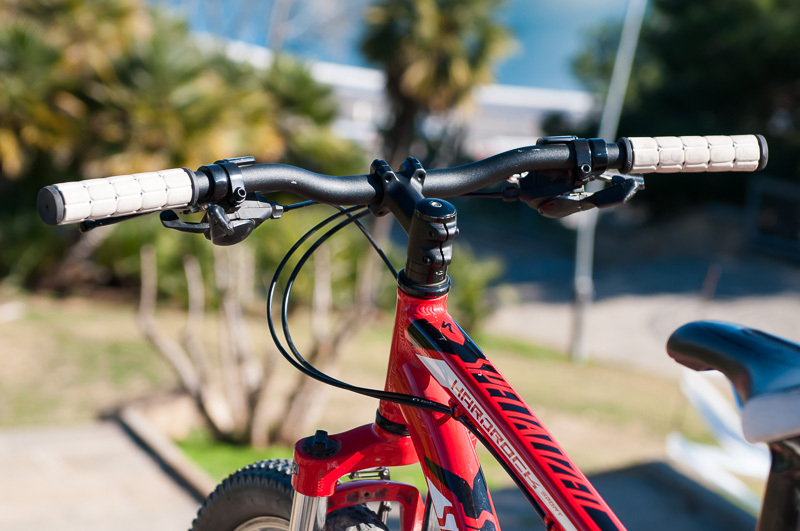 Riders who want a versatile and capable bike for the city and the mountains. 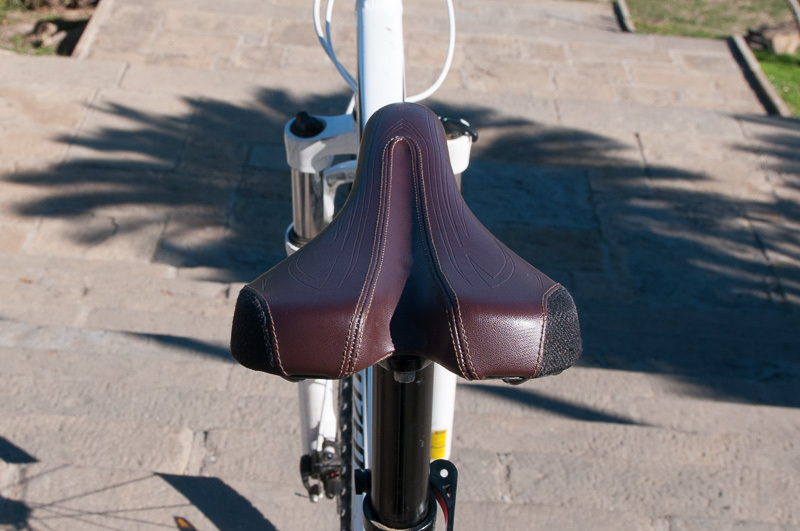 Experienced riders that want a more technical bicycle. Fully butted A1 Premium Aluminum frame for a bike that lasts longer and weighs less. 29" SR Suntour fork with preload adjustment, lockout, and size-specific spring rates for more versatility and tunability over varying terrain. Light and durable, double-walled Hardrock 29" wheelset that hold up under tough terrain. Specialized 29" Fast Trak LK Sport 60 TPI tires that gobble up the trail while cutting down on rolling resistance. 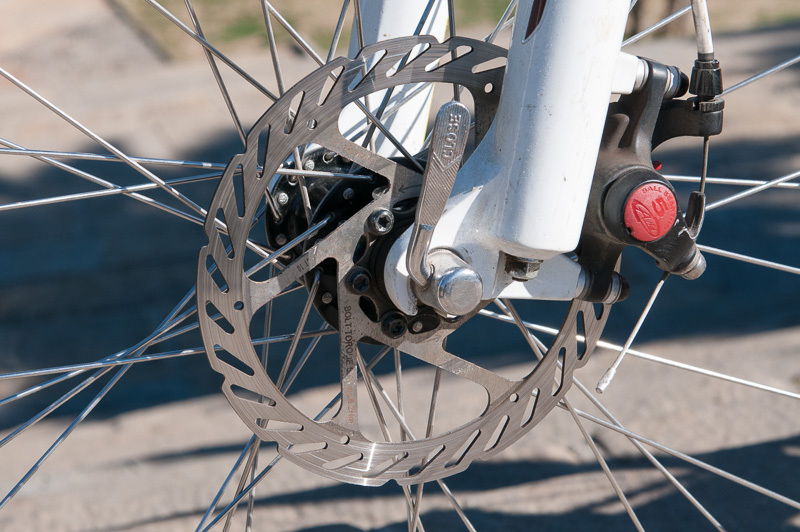 Avid BB5 mechanical disc brakes that let you stop almost instantely. 24 gears to find the perfect cadence for any terrain. "We were talking about the three restaurants that you sent us to and think they are just perfect and give the visitor a taste of typical Barcelona foods." "What a fantastic time we had in Barcelona, thanks in large part to you and your great tour-guiding abilities! We enjoyed being with you so much and hated to leave."